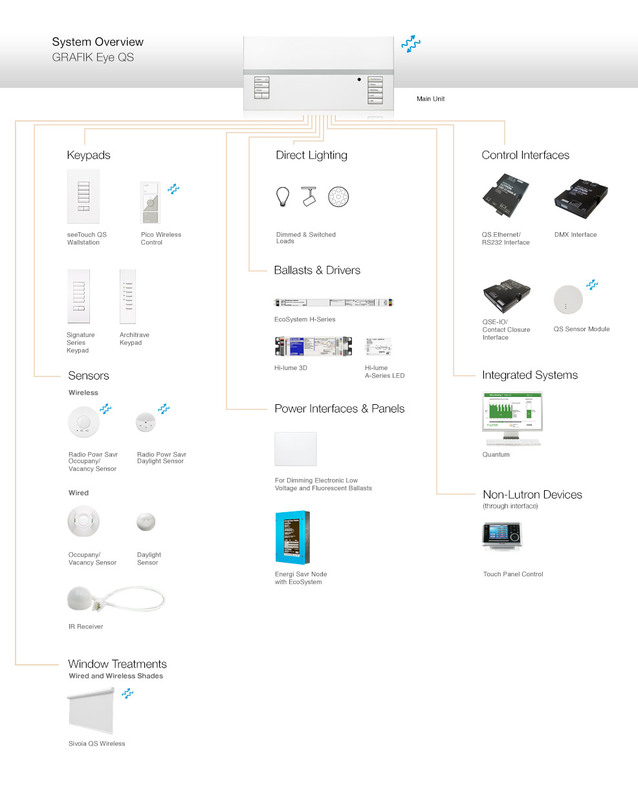 The diagram to the left provides an overview of the components that constitute the GRAFIK Eye QS system, as well as compatible Lutron products. You can refer to the categorized list below to find a complete list of components with more detail about select products. Give us a call 201 500 7470 or use the form below to get a quote. 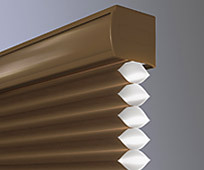 Sivoia QS Wireless cellular shades represent an evolution in Lutron window treatment operation, as they are the first wire-free, battery-powered shading solution with a 3-year battery life – easy to install in any existing home. With its cellular design and extensive fabric offering, this window covering provides a crisp clean look to enhance any décor. 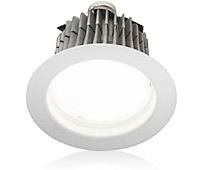 A new load type configuration provides optimized dimming for the Cree LR4™ and LR6™ downlight, simplifying installation and offering superior performance. Use the QS keyswitch to provide secure access in public locations. You can use it to select scenes, enable/disable timeclock events, and more. Another new feature, Lockout PIN, enables the user to set an access code to prevent unauthorized changes to lighting levels and device settings. 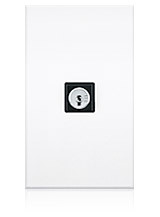 Talk to a dimmer specialist now.